Stories of "undiscovered" Chinese ceramics that sell for spectacular prices at auction inspire some to hunt through their attics for potential hidden treasure. Occasional finds such as a Chinese "Ding" bowl that was purchased for $3 at a yard sale and subsequently sold at a 2013 New York auction for $2.2 million help keep local flea markets busy. But discoveries like these are the exception rather than the rule, according to Nicolas Chow, chairman of Chinese works of art at Sotheby's Asia. 1. 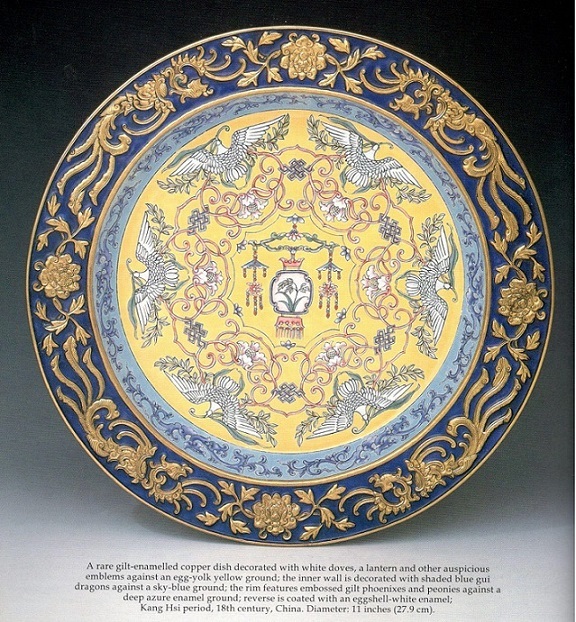 CNN: What makes one piece of Chinese porcelain more valuable than another? 2. CNN: What advice would you give someone who is thinking about becoming a collector of fine Chinese ceramics? 3. CNN: You mentioned that rising prices have resulted in an increasing number of sophisticated fakes in the collecting market. Have you met many people who have a collection they believe is real but has turned out to be fake? 4. CNN: How have the 'fakers' gotten so sophisticated? NC: Before the imperial kiln site in Jingdezhen had been excavated in the mid 1990s, fakers couldn't work with the real thing and so they couldn't feel or tell how it felt. But since the kilns have been properly excavated, there are so many shards there, the fakers can get a hold of this material and get a sense of how an eighteenth century or fifteenth century body should feel. So since then there's been a huge leap in faking the clay and the body of these porcelains. 5. CNN: How can you assess whether a piece of porcelain is real or fake? Beijing has pledged to take greater steps to protect its wealth of cultural artefacts, in part by meting out stricter punishment for the theft or destruction of relics. The State Administration of Cultural Heritage will also set up two offices to oversee the movement of antiques across borders in the country’s free-trade zones and bonded areas, according to the organisation’s annual working plan released last week. Under the working plan, the administration intends to better protect relics against fire, theft and destruction. It calls for stricter punishment for crimes involving relics although details were not given. During the first half of the 20th century, the mainland saw a flood of antiques out of the country, some looted by foreign troops. Beijing’s official narrative views the loss as a humiliation by Western powers. In one notable case in 2013, two bronze statues originally from the Summer Palace and dating to the Qing dynasty (1644-1911) were returned to Beijing by a French collector. They were among the 12 animal head statutes looted by Anglo-French forces, which raided and burned the palace in 1860 during the Opium war. Last year, Beijing banned the auction of looted antiques in its latest regulation on cultural relic auctions. According to the United Nations cultural organisation Unesco, about 1.67 million Chinese relics are housed in more than 200 museums across 47 countries. The Chinese Cultural Relics Society said the mainland had lost more than 10 million antiques since 1840 due to wartime looting and illegal excavations. But Beijing also faces a serious problems of looting at home. Experts believe the growing tide of wealth on the mainland has given rise to a lucrative black market trade in antiquities as collectors compete to acquire prized artefacts without considering their origin. Archaeologists have also complained about the destructive impact of aggressive tomb raiders who care little about using explosives to get access to treasures.